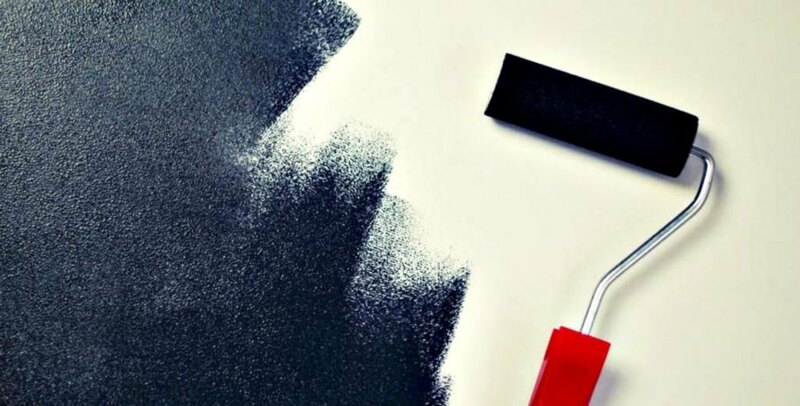 Researchers at RMIT University in Melbourne have created a revolutionary new solar paint that can be used to produce endless amounts of clean energy. The innovative paint draws moisture from the air and splits it into oxygen and hydrogen. As a result, hydrogen can be captured as a clean fuel source. The paint contains a recently-developed compound that looks and feels like silica gel — commonly used in sachets to absorb moisture and keep food, electronics, and medicine dry — but acts like a semiconductor. Additionally, the synthetic molybdenum-sulphide material catalysis the splitting of water atoms into hydrogen and oxygen. According to colleague Professor Kourosh Kalantar-zadeh, hydrogen is the cleanest source of energy on the planet and can be used in fuel cells in addition to conventional combustion engines as an alternative to fossil fuels. Because of this, it is accurate to say that the development of the solar paint will have grand implications. In fact, because Titanium oxide is the same white pigment commonly found in wall paint when it is combined with the new material, the solar paint can “convert a brick wall into an energy harvesting and fuel production real estate,” said Daeneke. This means there is no need for filtered or clean water to feed the system. And, any location that has water vapor in the air — including remote areas — can produce fuel. Tio2 is aknown photo oxidiser( sensitiser) which is why it causes sensitisation in cosmetic productslike. Sunscreens Wouldnt that hydrogen be a flammable hazard. Can this solar paint be used on a hydrogen driven car such as the Hyundai ix35? Sign me up! We have very high humidity in Florida. I'd love to turn it into energy. Those of us who live travel / work in self contained solar powered motorhomes traveling through all sorts of climes know how a dehumidifier can work well with a with a "swamp cooler" 12 volt air conditioner. And, as I have been puttering about with my near rare earths of nepheline syenite being a part of Dr. Einstein's Theory of Photovoltaics. But as synthetic molybdenum-sulphide is proprietary I guess our questions will not be answered for many years. That said ... good job creative thinkers without borders. Looks like every commenter has the same question as I have: How do you capture the H and O? Yet another lab experiment that has no practical use. OK, How do you collect the Hydrogen? And since it splits water into Hydrogen and Oxygen, where does the Oxygen go? So you put an airtight cover over to collect the gas, how does the water vapor get in? So in answer to Nikolai's question, I don't see how it's better, since electrolysis actually has real world applications. Not really efficient, but actually works. Solar panels are typically around 20% efficient, electrolysis is about 60% efficient, and then the Hydrogen has to be compressed which costs another 2%, so of the original solar input of 1000W, you might get 118W of useable Hydrogen energy out. As you can see, there is LOTS of room for improvement. Paint that uses solar power to split water into hydrogen and oxygen. Is this better than a standard solar panel splitting water? How do you collect the hydrogen? or oxygen for that matter? Exciting development but some initial thoughts. water vapour drive weather. Will this have an effect on weather? Water Vapour drives the water cycle. As we need water to live, how does this endanger our water supplies? So you paint your wal, but how do you capture the hydrogen, and then compress it? The innovate paint draws moisture from the air and splits it into oxygen and hydrogen. As a result, hydrogen can be captured as a clean fuel source.